Open since August 2016, Hotel Napoleon Memphis is a luxury-boutique hotel with 56 guest rooms (plus two suites) in the heart of downtown. The Napoleon contains beautiful original interior detailing combined with modern touches. The 1902 Winchester building was added to the National Register of Historic Places in 1983 and formerly housed the Memphis Press-Scimitar, an afternoon newspaper in which one of Memphis’ most famous citizens, Elvis Presley was often interviewed and featured as his career literally spiked overnight after Sun Records producer Sam Phillips cut two acetone pressings of That’s Alright Mama and brought it to DJ Dewey “Daddy-O” Phillips to play during his radio show at WHBQ inside nearby Hotel Chisca. The Napoleon Hotel’s exterior has been lovingly restored to its former glory while the modern interior combine marble, wood, glass and stainless steel to highlight the historical features. The staff are very friendly and helpful. Just a few moments after checking into my room for a three-night stay, I receive a phone call from reception to make sure I have everything I need. They have a guest texting system, so if you’re comfortable giving them your cell phone number, they’ll respond with theirs so you can text any requests while you’re here instead of phoning down to reception if desired. All the essentials are here: mini fridge, iron, ironing board, Keurig coffee maker (with Starbucks coffee), safe, several USB-charging outlets, free wifi and a small desk area. If you’re in for the night (perhaps taking a break from clubbing on Beale Street), there’s complimentary HBO, Showtime and Cinemax available on the 50” flatscreen TV. My corner room has gorgeous rounded floor-to-ceiling bay windows overlooking downtown. At night, checkered grey and black drapes keep things nice and dark for a sound sleep. The bathroom is nicely fitted with a large lighted mirror, multi-directional magnifying mirror, bathrobe, slippers and Pure bath amenities. Cozy Simmons mattresses with Egyptian linens (and a choice of pillows) make for a good night’s rest. Rooms are relatively well insulated so you won’t hear your neighbours, even though the hotel’s on a major street with a vintage tram line. Adjacent to the lobby, Luna Restaurant & Bar is open for both breakfast and dinner, with a focus on tapas and craft cocktails. 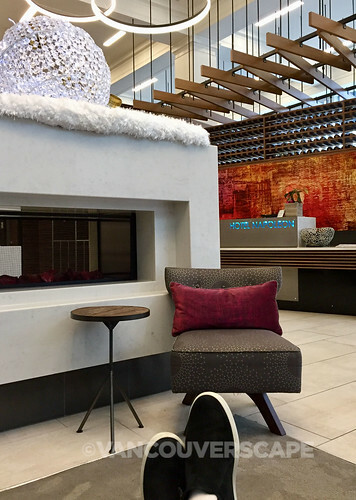 Nice touches are complimentary coffee, tea, delicious homemade macadamia nut/chocolate chip cookies (during my stay) and a large bowl of fresh fruit in the lobby. 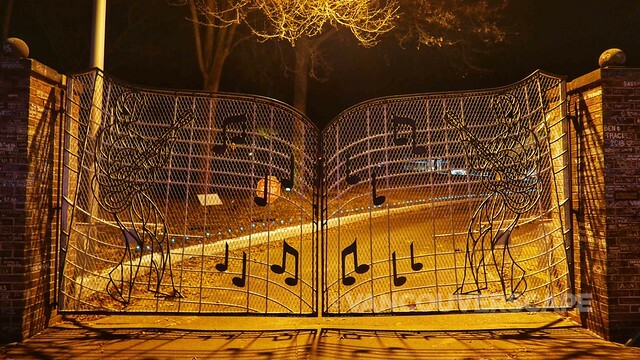 Hotel Napoleon is eight miles to the Graceland Mansion, a four-minute walk to Peabody Hotel (with its famous duck march) and close to Beale Street’s bars, plus several restaurants, shops and cafes. You can also easily walk down to the waterfront and enjoy views of the Mississippi River as you wind around the Riverwalk. 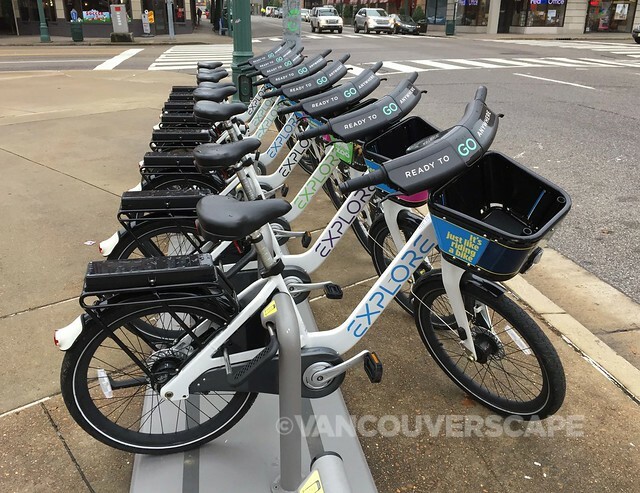 And if you’re up for a bike ride, there’s a fleet of solar-powered bikes (Explore Bike Share, $5 per ride) plus electric scooter companies Lime and Bird (all easy to book sessions via their respective apps). 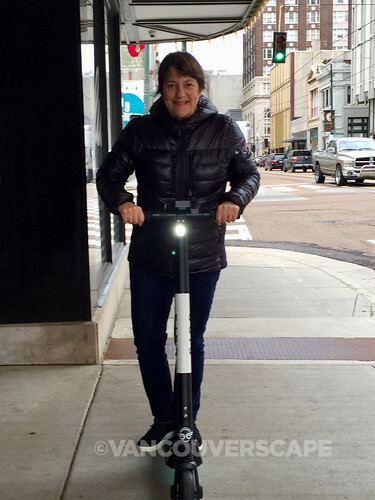 What’s great about the e-scooters is being able to pick one up and leave it behind anywhere in town! 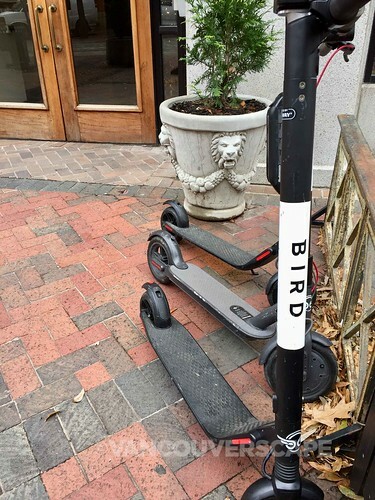 Once you’ve unlocked one (I only used Bird on this trip), kick the kickstand up and off you go. I’m hoping Canada will adopt this useful, sustainable and fun way of getting around. 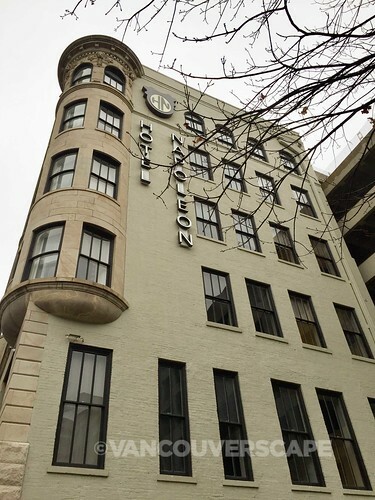 Hotel Napoleon Memphis is located at 179 Madison Avenue. I was a guest of Hotel Napoleon courtesy of Tourism Memphis. Opinions, as always, are my own.